Shirts With Random Triangles: Johnny Manziel goes barefoot in Cleveland Browns photo shoot. 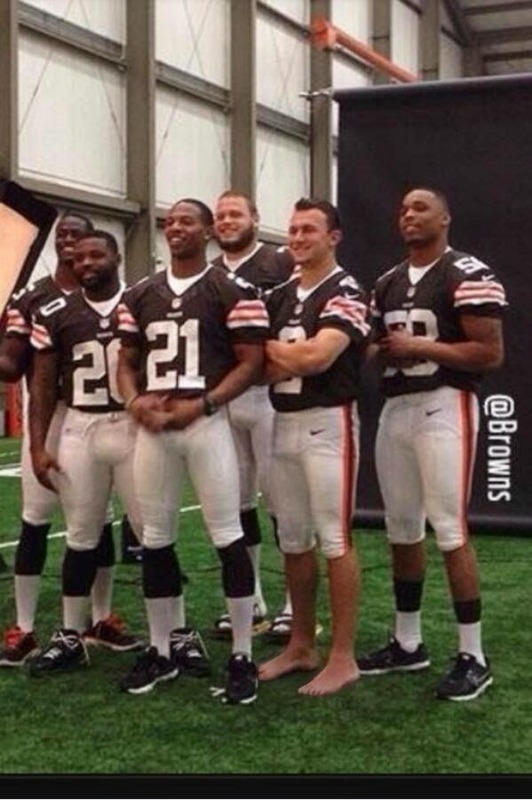 Johnny Manziel goes barefoot in Cleveland Browns photo shoot. One of these Cleveland Browns players is not like the other. Hint: his initials are JFF. Cleveland Browns quarterback Johnny Manziel decided to go barefoot for some reason. No explanation given for the lack of cleats and socks in this picture. Though it would be interesting if Manziel decided to through his NFL career barefoot to honor fellow Texas legend Kevin Von Erich.